Many teenager would love to be in Reginae Carter shoes right now! 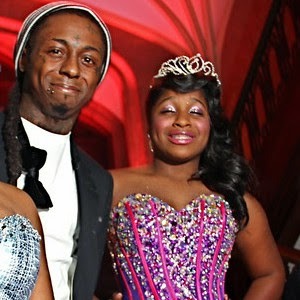 Lil Wayne's daughter Reginae Carter celebrated her 16th birthday with a Sweet 16 birthday bash in Atlanta. Some of the party guests included rapper T.I. 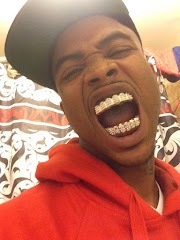 and his wife Tiny, Fantasia, Kandi Burruss and Nicki Minaj who put on a mini concert for the teenage princess. Reginae who is also signed to her father's label Young Money was one happy teenager for her birthday. She didn't just get one car she received two vehicles, a white Ferrari GTO and a Red BMW X5 from Lil Wayne, her mother Toya and step father Memphitz.